Action Step – Engage community partners in a focused collaborative inquiry process. At GEMS, middle school students have the opportunity to select choice classes based on personal preferences. One of the choice classes available to students is Maker Studio, a class in which students explore different ways to create and assemble items using a variety of raw materials often with technology components. This course is taught by Dayle Payne, technology integrationist at Georgia Elementary School. 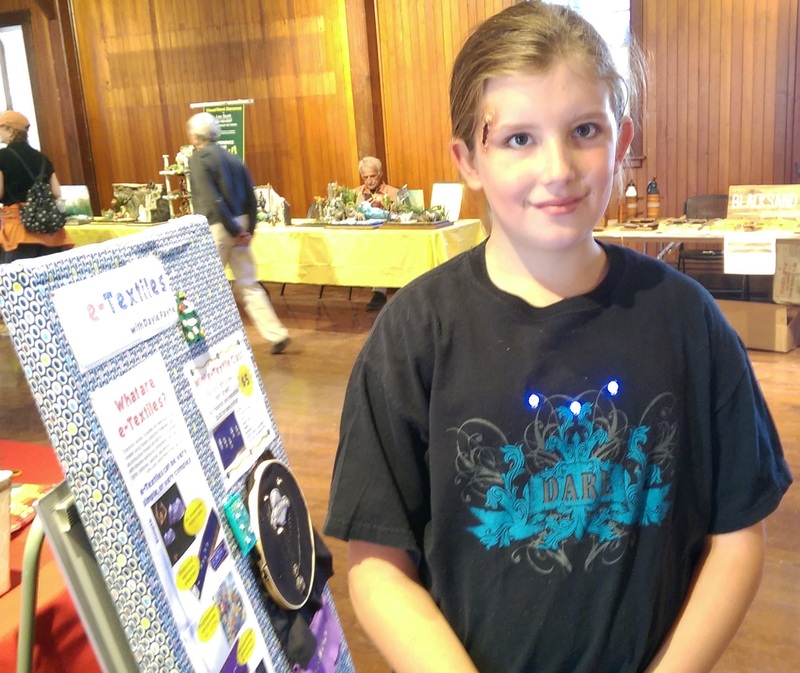 This year, due to the success and interest in how she instructs in the creation of e-textiles, Dayle was asked to share her expertise at the Champlain Mini Maker Faire held on September 26 and 27. A Maker Faire is a community-based learning event that inspires everyone to become a maker and connect to people and projects in their local community. 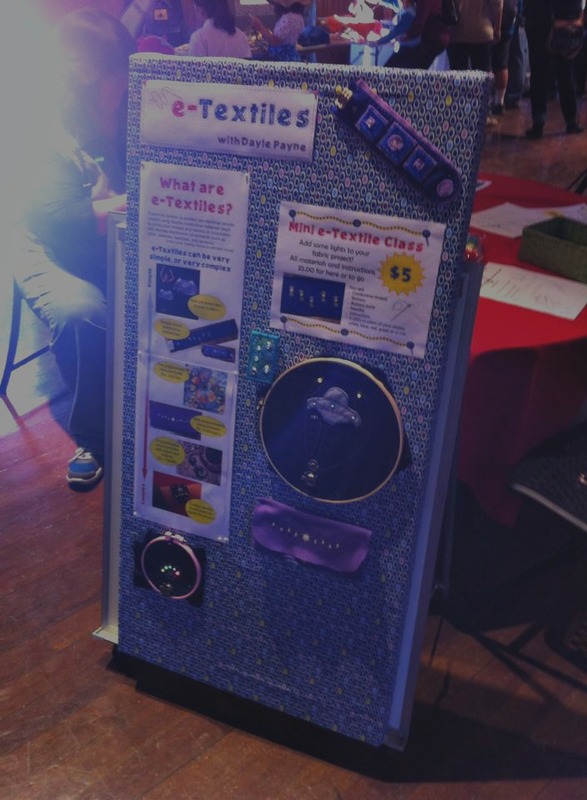 Dayle had a table in the Swap, Stitch, and Make area. Throughout the day, she taught people of all ages to do a simple e-Textile project. The participants at the maker faire included students and families from the Georgia community. This was a great occasion to showcase the amazing learning opportunities that GEMS offers and share them with the larger community. When you are able to explore learning that you are passionate about, you can create amazing things. The possibilities when you personalize learning are endless.